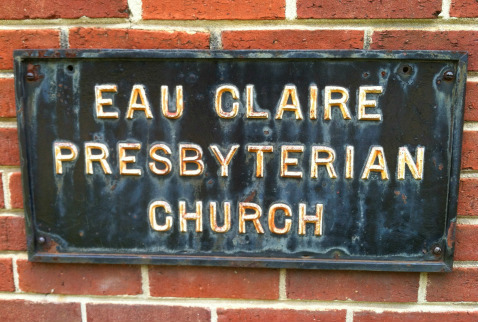 Eau Claire Presbyterian Church has known God's faithfulness since its founding in 1916. Although we have gotten smaller over the years, God now seems to be doing a new work of revitalization among us and we couldn't be more excited! We purpose to be a church that is faithful to the Scriptures, true to the Reformed Faith, and obedient to the Great Commission of Jesus Christ. We desire to honor God by finding our truest identity, our deepest delight, and our greatest motivation in His gracious love for sinners like us. Our focus is on discipleship – learning to follow hard after our Savior in every area of life. As a result, God’s kingdom rule in this world is powerfully extended through: greater worship, through the proclamation of the gospel to each other and to those who don’t yet believe, and through our sacrificial service to others. We want to be a blessing to our immediate community, but our vision is as big as God’s global kingdom.